I always feel like superman when the sun comes out, I know most of us do. Everyone’s energy tops the scale. 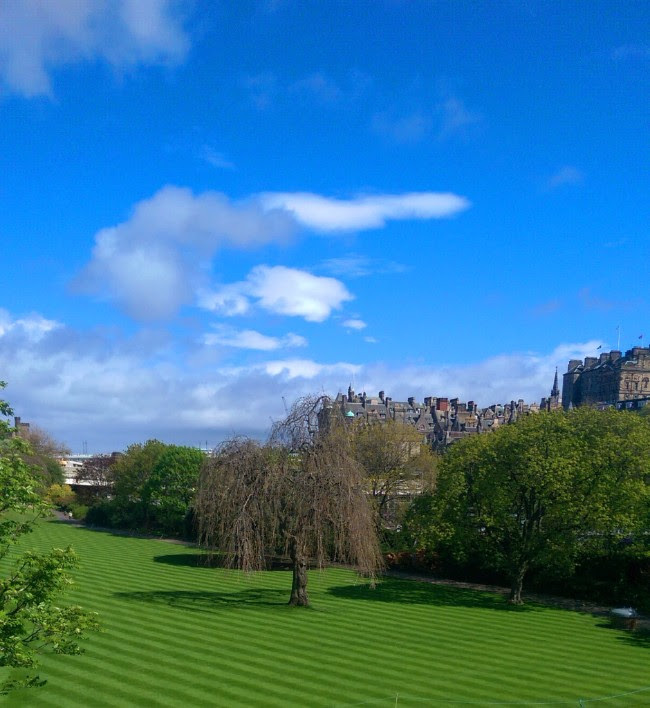 The view from The Scottish Cafe & Restaurant to Princes Street Gardens is so green even the Balmoral is almost removed from view the tree foliage is so abundant. I’m a little geeky around gardening, not that I have green fingers at all but having been inspired by watching Monty Don and crew on The RHS Chelsea Flower Show it does make you so much more aware of the environment we live in. To bring it home ever so slightly why not take some time to pop along the the Portrait Gallery and see A Perfect Chemistry, photographs by Hill and Adamson which is on until 1 October. Some of the images are of this iconic view but in its early conception in the 1840’s. Worth a visit of before and after when you can stroll back along to the Scottish National Gallery, pop into The Scottish Cafe for afternoon tea and then head up to the Constable & McTaggart (free) exhibition which is now gracing the walls of the main gallery. The images are truly breathtaking. The terrace at The Scottish Cafe doesn’t take bookings but the team are on the ball and will seat you as soon as they can. There really isn’t many better places in the city to enjoy an afternoon when the sunshine is out. Our dearest dearest friend Colin Hamilton handed in a very generous gift the other week. 20 kilos of black Para’s pepper from Kerala. Victor and I are very very fortunate to visit the plantation almost 20 years ago. To watch each perfect berry picked only when ripe, increasing the time to harvest by up to three times.Then each beautiful string of berries are allowed to dry naturally in the sun. Then the white pepper which is the same crop has the black skin removed by hand to add an extra kick. Probably the best pepper in the world I’d say! Thank you Colin. Sending 20 kilos and more of love back to all in India’s most tranquil and idyllic region of Kerala. A separate little hello to a new friend who visited from Quebec with two of our favorite and dearest friends late last month. Now I’ve learnt over the years not to say anything bad about anybody as I know it comes back and kicks me. All of us make mistakes but it’s how we deal with it that counts and most importantly how we learn to try and not let it happen again. Our teams will inevitably have an off day but their hearts are 100% committed to looking after all of you and they genuinely love doing it. I just thought I’d share a little moment from our amazing Alina. 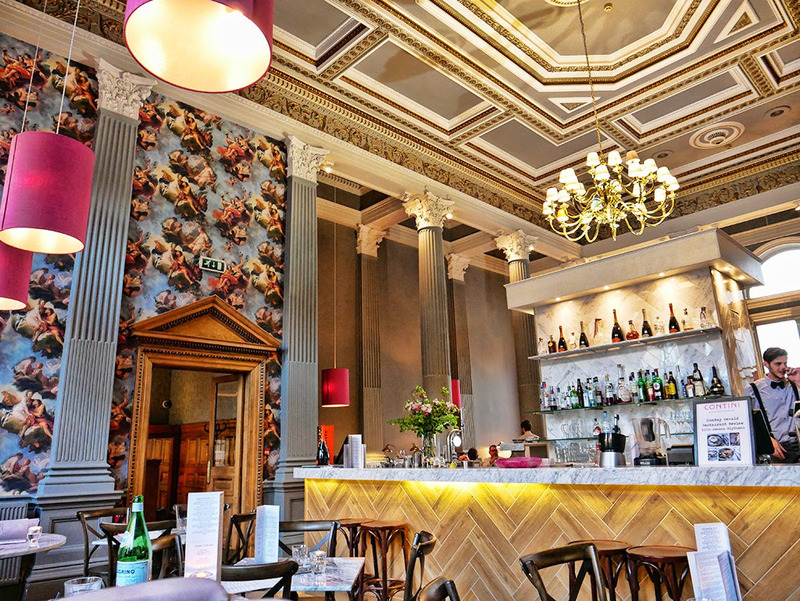 Many of you will remember her from her Searcy’s Days at the National Galleries before we opened the Scottish Cafe & Restaurant in the same venue. We were lucky enough to “adopt” Alina (I’m saying this as I feel like they’re part of our family), Emma now Head Chef at Cannonball and Suzanne our Executive Chef. Three hospitality career girls. 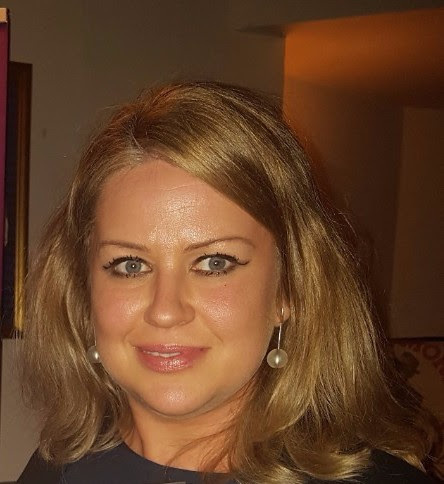 Alina also has a MA from Edinburgh in Fine Arts so not only is she a pretty face, a clever cookie and a lovely lady, she’s one of our most loyal and genuinely gentle team both for her team at Contini George Street and for all our customers. She calls Trip Advisor TRAP Advisor. As anytime she sees a painful review she thinks she’s been trapped! The face falls, the lip quivers and the tears are close to pouring! If we ever get it wrong, please please please let us know and we will do our very very best to fix it so you’re released from the agony and we’re freed from the feeling of letting you down. With all our love from our team including amazing Alina! This is the first exhibition of works by Caravaggio and his followers – the so-called Caravaggesque painters – ever to be shown in Scotland. 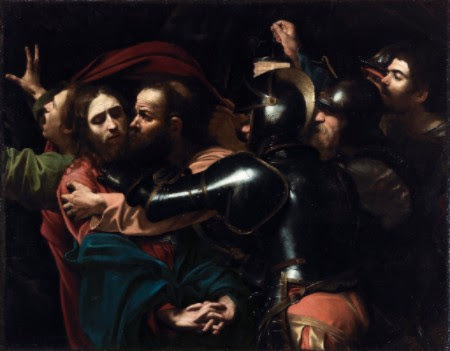 Caravaggio’s dramatic lighting and compositions, and his radically new approach to subject matter exerted a huge influence on a host of contemporary artists from all over Europe, many of them painters of the very highest calibre, such as Gentileschi, Ribera, Valentin and Ter Brugghen. On indefinite loan to the National Gallery of Ireland from the Jesuit Community, Leeson St., Dublin who acknowledge the kind generosity of the late Dr Marie Lea-Wilson. Photo © The National Gallery of Ireland, Dublin. 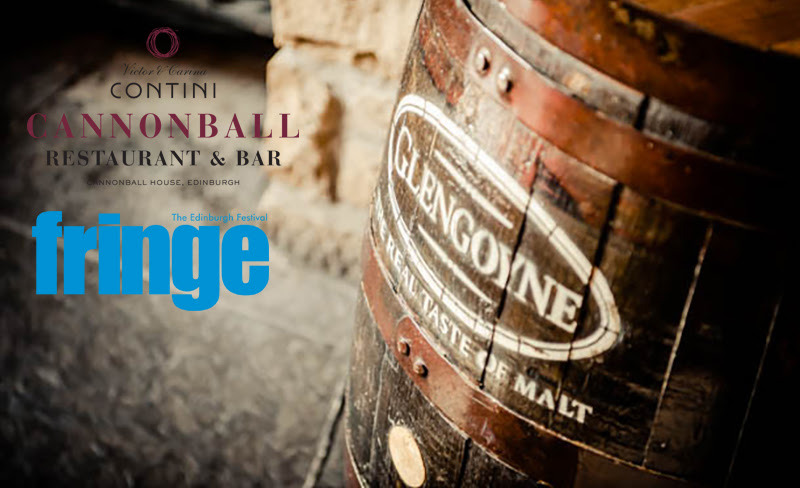 A fantastic opportunity to meet a whisky aficionado and learn about the history of whisky in one of the city’s oldest and most important buildings with stunning views to Edinburgh Castle.